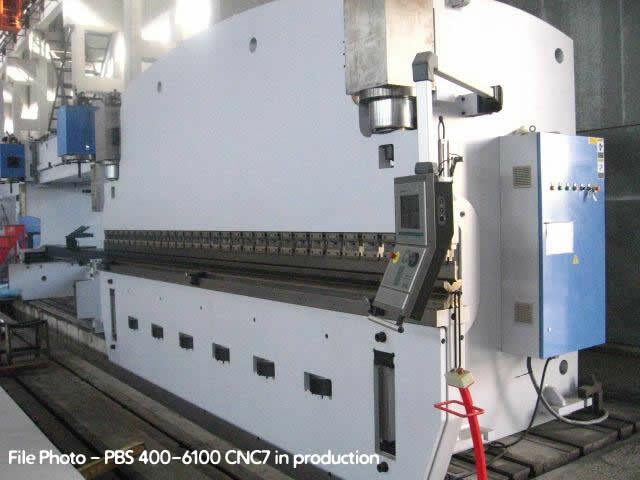 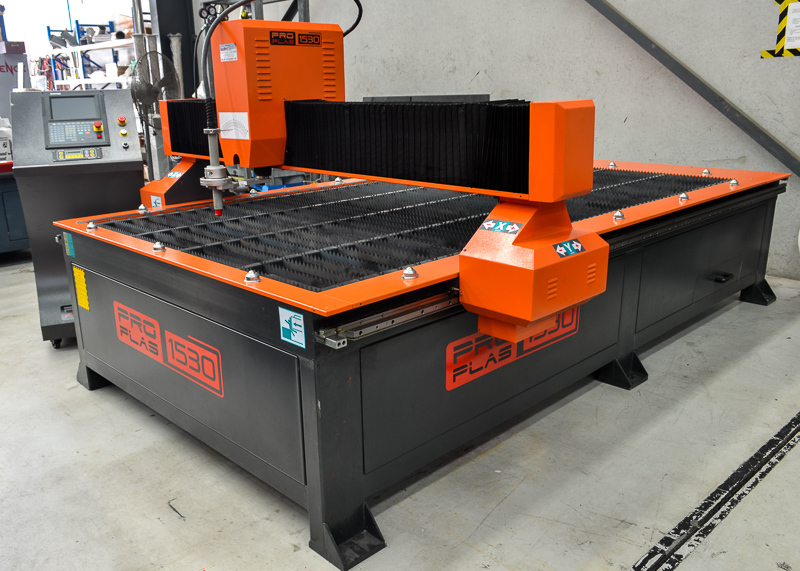 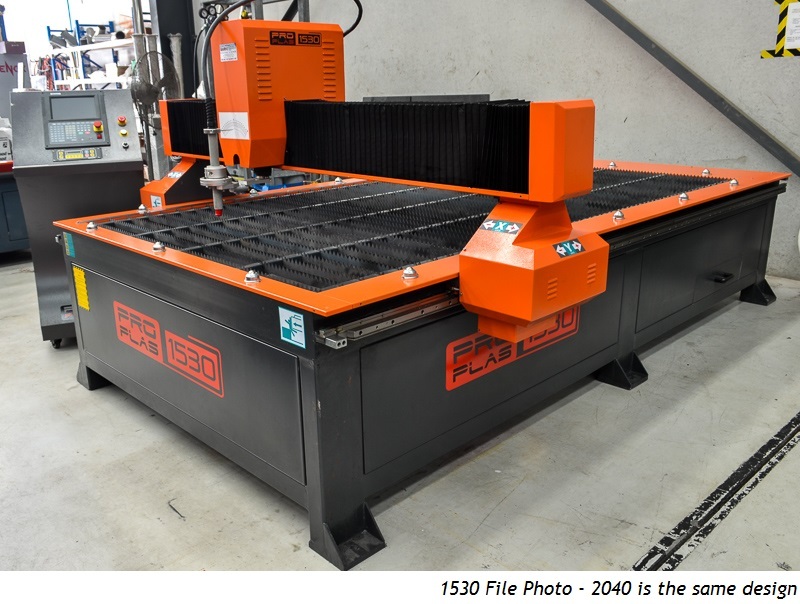 Brief Descriptions : 6mm x 2500mm capacity, Estun E21S control, 18spm, 10-1000mm backgauge stroke, rear sheet support system. 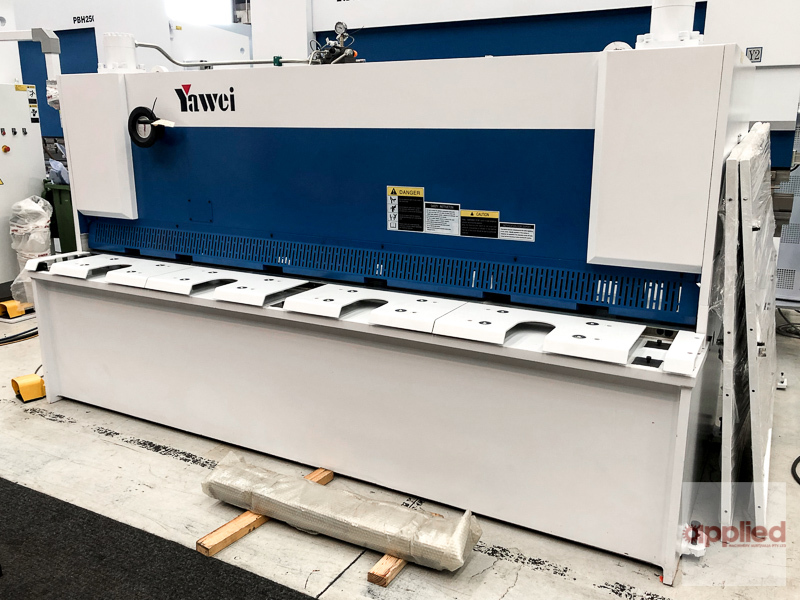 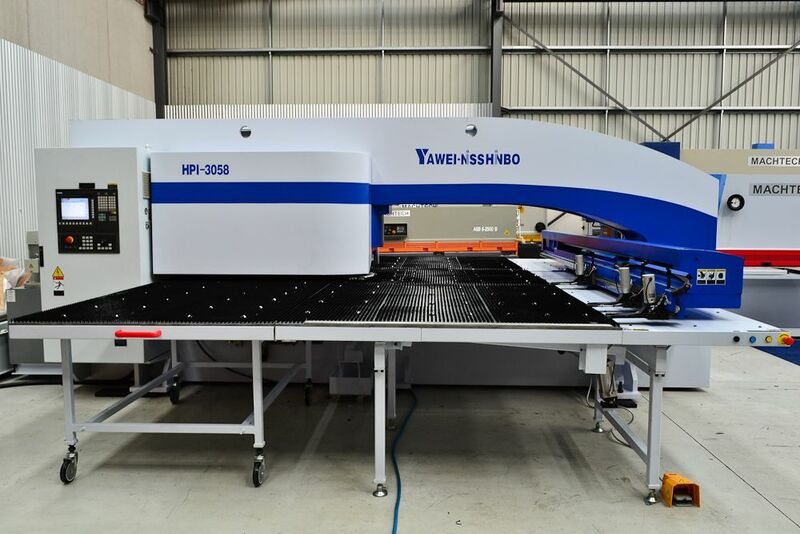 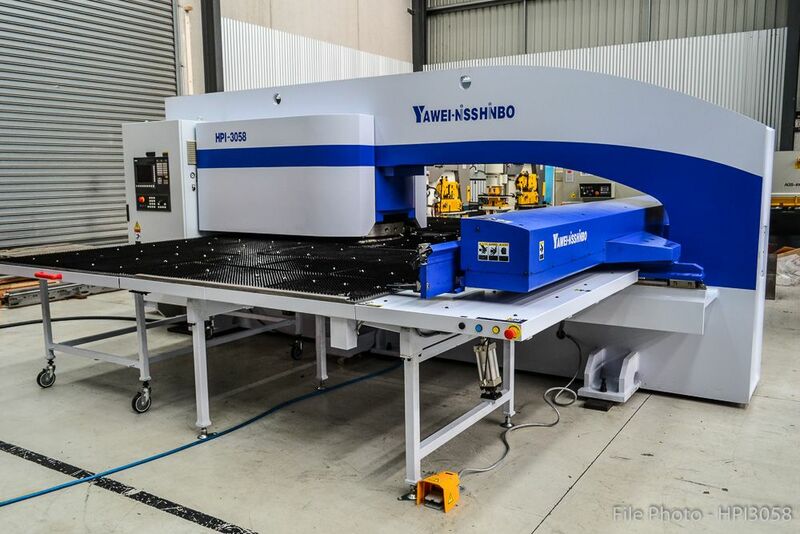 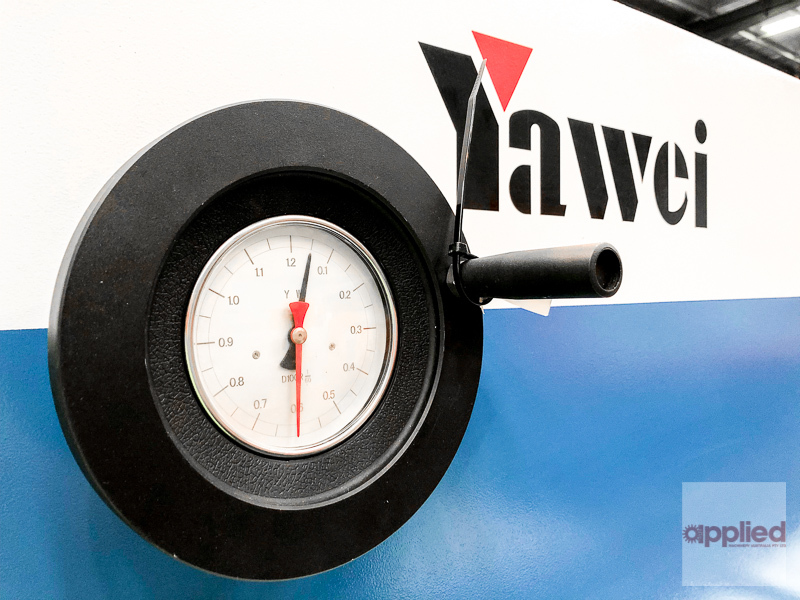 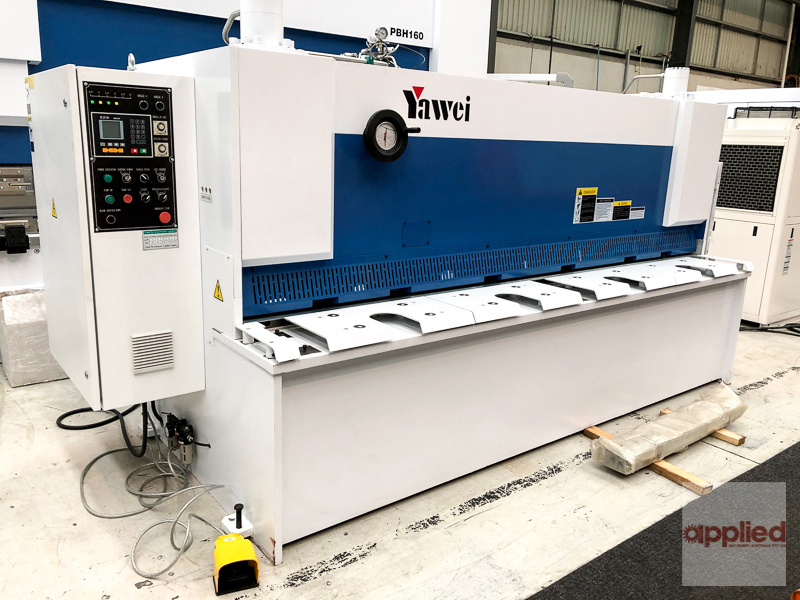 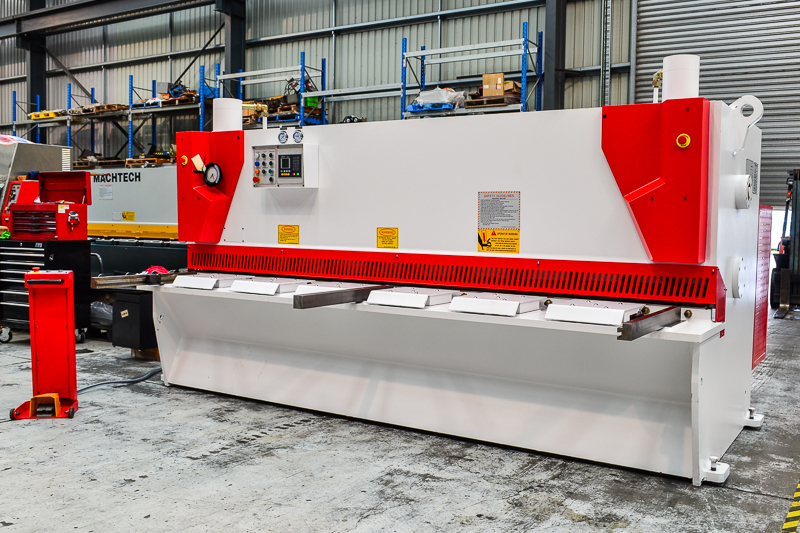 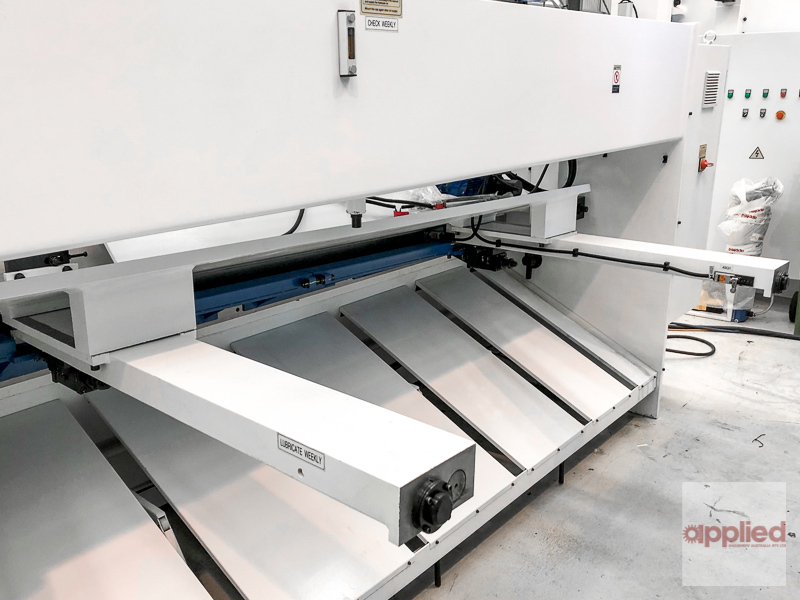 NEW Yawei HGS 6-2500 Variable Rake Hydraulic Guillotine. 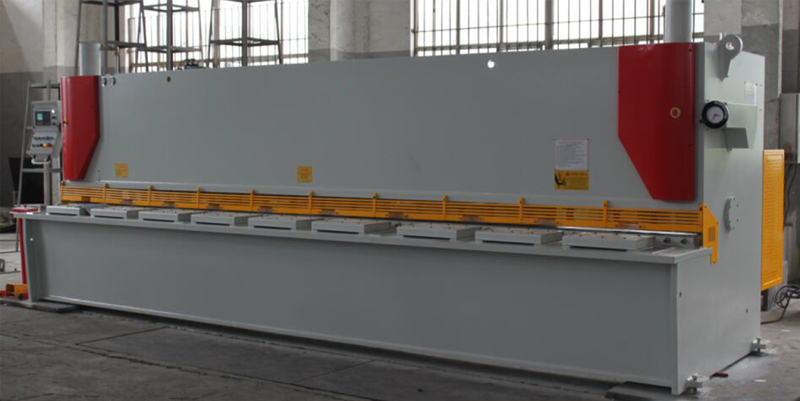 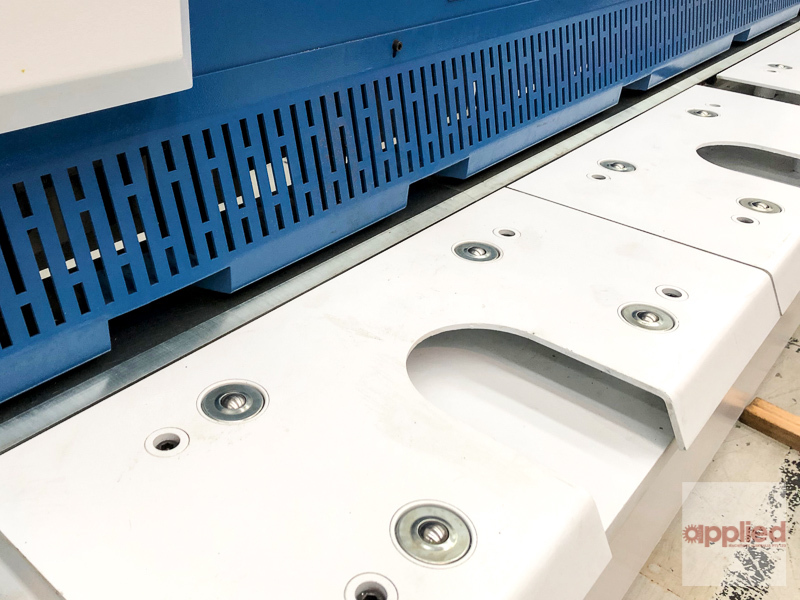 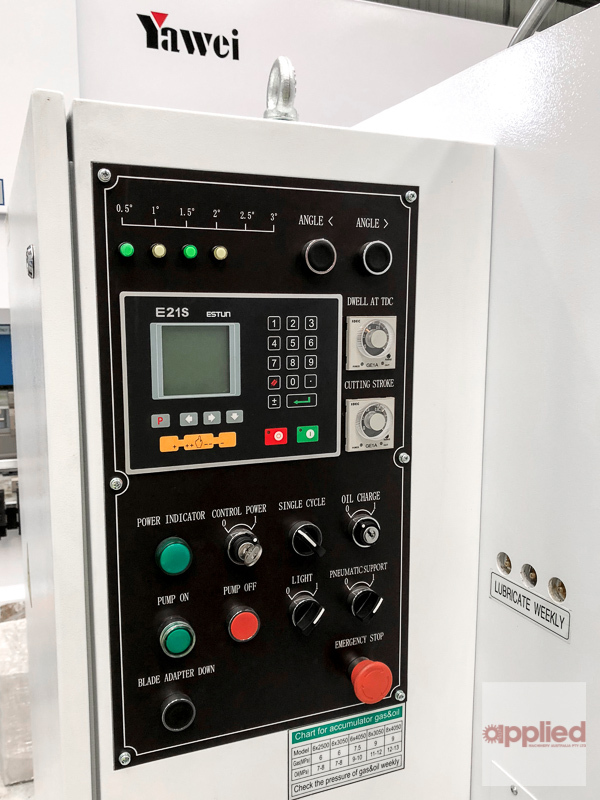 6mm material capacity, 2500mm maximum material length, 1000mm backgauge range, rake angle adjustment, 14spm, 7.5kw motor power, pneumatic sheet support system, Estun E21S control, rear safety light bar.